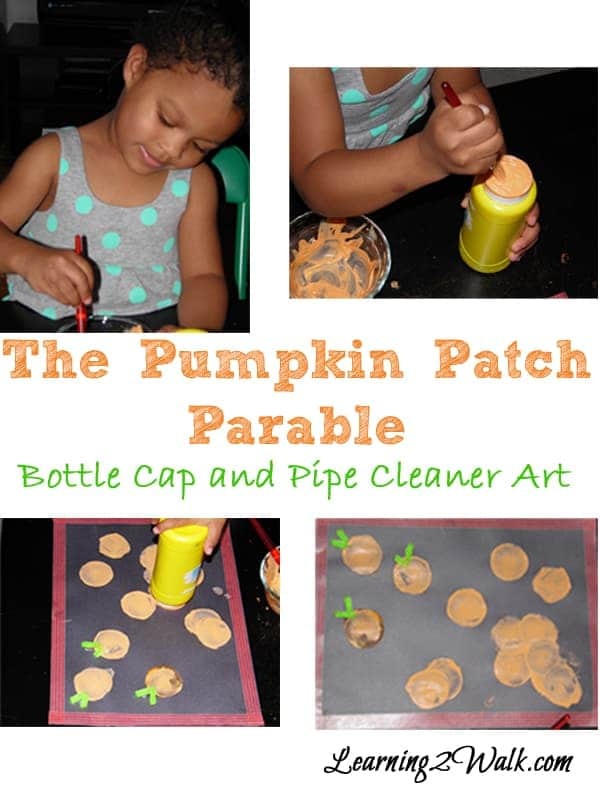 Fall is officially here where we live in Northern Ontario, and to celebrate fall with all the joy it brings, I created a unit study for a book I recently discovered called The Pumpkin Patch Parable. To be honest, I am not sure that summer ever came, but I am quite happy for the cooler weather and to be able to see the trees and their fantastic colors. The bright reds and golden yellows… it truly is a sight to be seen and creates a lovely backdrop for this cute book. 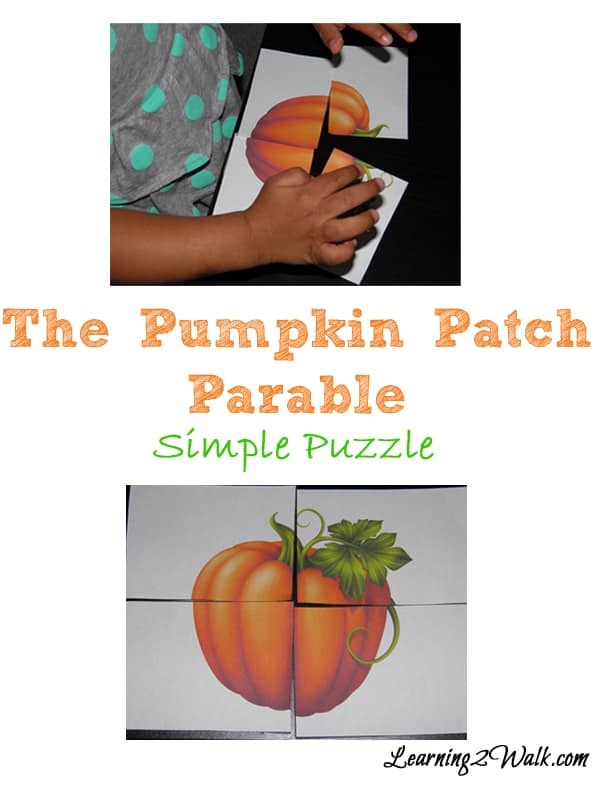 Our Pumpkin Patch Parable Math activity consisted of counting, size matching, putting puzzles together and a few more. In the picture below, J is working on the simple puzzle in The Pumpkin Patch Parable. I was quite surprised that she was able to understand it and replicate the puzzle that quickly. Language development is very important in a preschooler’s life and so it should be developed at every given chance. For our Pumpkin Patch Parable language activities, J (my almost 3 year old preschooler) did a few of her favorites as well as some new one. Her all time favorite is matching the upper and lower case letter cards together. 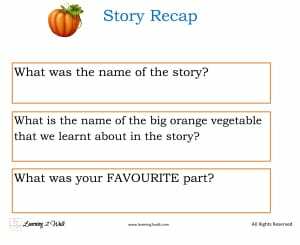 After reading the story for a few times, we also proceeded to a quick story recap to see what she has retained. I ask her simple questions such as what was the name of the book and what was your favourite part. Her dad also taught her certain German words associated with our book study. For example, pumpkin in German is called der Kurbis and farmer is der Bauer. We also worked on her cutting and tracing skills as fine motor skills are also important. I am not the most crafty person and I am still working on that. For art we went low key and searched Pinterest. I found this simple Bottle Cap Pumpkin by Crafty Morning. 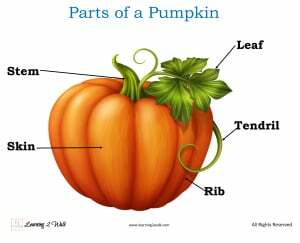 For Science, J learnt that pumpkins have different parts just like the human body. To do this I used the Parts of A Pumpkin sheet that I designed. J definitely enjoyed learning about pumpkins in the unit study and I am sure we will be buying a pumpkin this fall so that we can carve it, add a light inside so that I can further drive home the significance of letting our lights shine for God. 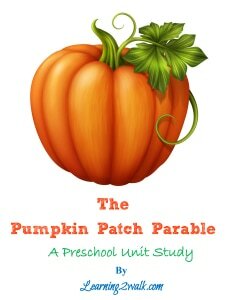 Exclusively available for readers of Meet Penny, you can download the Pumpkin Patch Preschool Unit Study Printable Set, with 40 pages of ideas, worksheets, and activities by placing your information in the form below for access to the Free Printables Library. Alecia, author at Learning 2 Walk, is a pastor’s wife and preschool blogging mommy of 2 darlings who is married to her best friend and side-kick, Mark. She is a proud Janadian (Jamaican + Canadian) and is a stationary addict and early childhood education enthusiast.